"Reflections" was a #2 hit for the group in the fall of 1967. 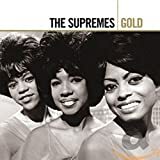 It also was the first single where Florence Ballard had been replaced by Cindy Birdsong as a backup singer (although Birdsong and fellow Supreme, Mary Wilson, actually didn't sing on the recording -- there was sessions singers instead, and Birdsong and Wilson would only be used from here until the group broke up and Diana went solo in 1970 for stage performances of the songs). "Reflections" also has a very interesting opening that is very much in tune with the times of 1967 being into psychedelica. It is uptempo with a good dance beat, but at the same time has again distressing to depressing lyrics, as Diana Ross is cast in the role of being a woman who has lost a lover and only remembers the happy times of old as though she is looking into a mirror (therefore the "Reflections" theme).